All of my eats yesterday were so, so yummy! I went to the farmer’s market on Saturday and picked up tons of fresh produce, and spent some time on Sunday prepping. This made throwing together Monday’s meals super easy. For breakfast, I enjoyed some simple oatmeal with raisins, chia seeds, and peanut butter. The star of my morning was this delicious, crisp, sweet-but-tart pink lady apple. How pretty is this lunch? I can’t wait to enjoy the exact same meal today! 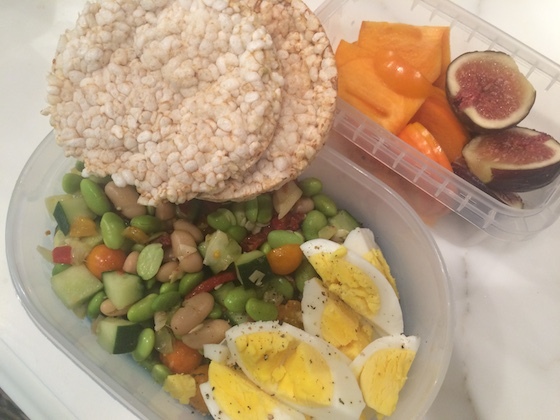 I prepped an easy edamame and white bean salad – the recipe will be up tomorrow. I paired it with two hardboiled eggs and a couple of brown rice cakes. 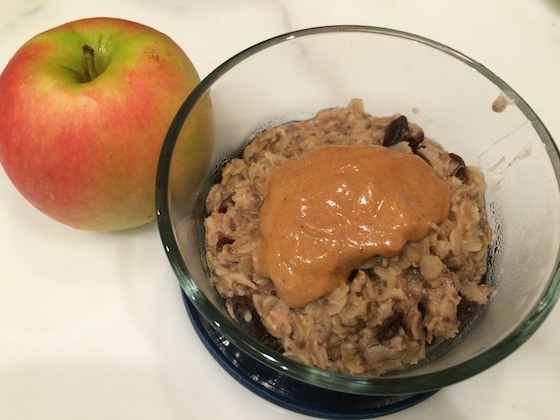 It was the perfect mix of protein, whole grains, and fiber. The lunch was so filling that I ended up saving this fruit for my afternoon snack. A crisp persimmon and two perfectly ripe figs. There’s nothing like local produce from the farmer’s market, and these two fall fruits are a couple of my favorites! For dinner, I put together a Mexican veggie plate. 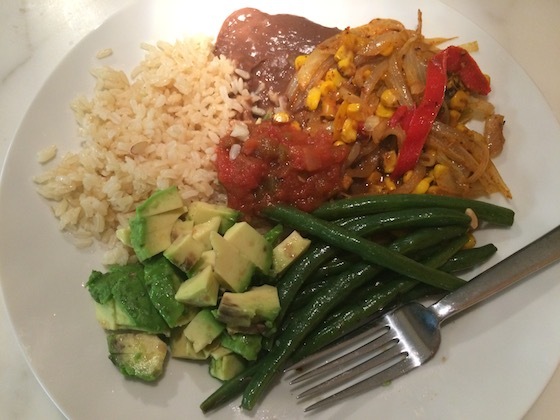 Brown rice, refried beans, lots of vegetables, plus some salsa and avocado. This was perfectly warming because it’s starting to get pretty cold here in San Francisco! I’ve got lots of leftovers for the rest of the week. Later on, I enjoyed these unique treats while watching The Voice. 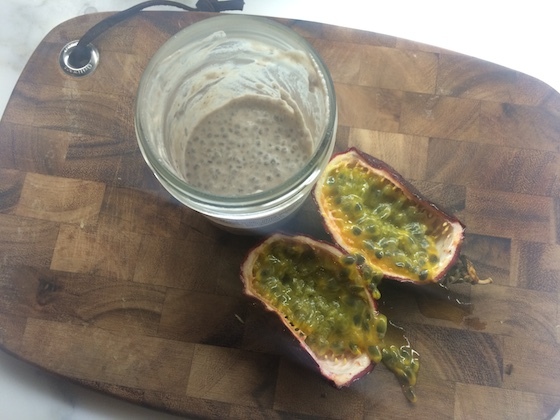 First a ripe passion fruit, and then the rest of this chia seed pudding that I picked up at a local juice shop. It was made with coconut butter and fresh cashew milk, plus lots of spices, like cloves and cardamom. It was so good, so of course I’ve already started thinking about how to recreate it. If I can settle on a great copycat recipe I’ll be sure to share it!